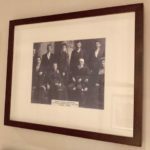 SF Framing: Custom picture frames | Sunnyvale, Santa Clara, Cupertino, Mountain View, Los Altos, Los Gatos, San Jose, Silicon Valley and beyond. How much does picture framing cost? This is likely the most common question we receive at SF Framing. The cost to frame pictures varies as much as the photos, prints, posters, paintings and collectibles these picture frames display. Frames are available in every color, style, size and decorative theme conceivable. Of course, basic picture frames can be bought at almost any specialty boutique, general merchandise, book or stationary store. 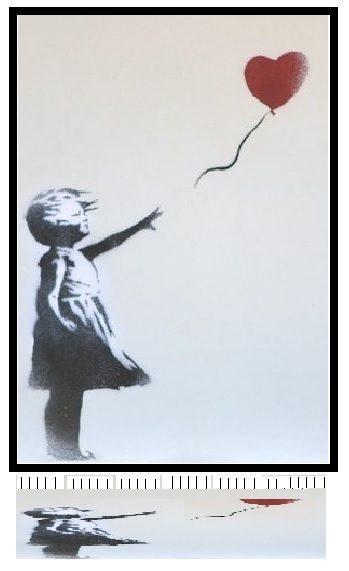 However, to ensure a high quality custom presentation that matches your office or home’s decor and best complements the artwork itself, it is vitally important to ensure photos, prints, posters, paintings and collectibles – even shredded art like “The Girl with the Balloon” by Banksy – are professionally framed. Custom-framing shops like ours, as well as art & craft stores and a few big box retailers offer picture framing services. 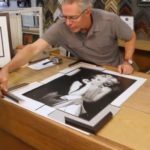 No matter where picture framing services are sourced, the aspects that most affect the cost of any custom picture framing project are the framing materials chosen, the specially-cut mats and small features that surround the artwork, and the quality of art design work involved in creating custom framing for particular artwork. SF Framing can frame anything… even something shredded! Picture frames have traditionally been made of wood, which is still the most common material. Other materials used include gold, silver, bronze, aluminum, and plastics. The simpler the frame, the less it will cost. Of course, the size and shape of the frame will affect the cost as well. Most professional frame shops like SF Framing have thousands of frame styles, textures, colors and finishes on hand to choose from. Most like SF Framing also offer different types of glass, from clear to ultra-violet protective, and a variety of museum-grade, acid-free archival mat materials to preserve artwork from indoor light and sun damage, acid damage, dust and moisture. Full-service custom framing shops like SF Framing provide in-store design consultation services and offer countless frame types, including shadow boxes and floater frames, to create a wide variety of the very best finished appearances. In addition to framing paintings and photographs, the framing professionals at SF Framing can create custom shadow boxes and frames for memorabilia such as collectibles, family heirlooms, fabric projects, and more. The price for custom framing varies, depending on size, and type of materials used. Almost all of the materials used in picture framing vary in price. The following are some cost examples of do-it-yourself framing. If the art measures 16″ by 20″, the starting price for a metal frame, clear glass, and backing, will be $29.95 + tax. The starting price for the same size in a wood picture frame will be $59.95 + tax. If the art measures 24″ by 36″, the starting price for a metal frame, clear glass and backing will be $79.95 + tax. The starting price for the same size in a wood picture frame, will be $129.00 + tax. The type of glass, matting, mounting, and picture framing material used, will all be determining factors in the final price. While we believe you will find no better source of framing services than those available from SF Framing, we thought you might like to read more about framing in general. Take look at our FAQ page for more information, or contact us today at 408-733-6060 or email us at sfframing@yahoo.com. We look forward to speaking with you! 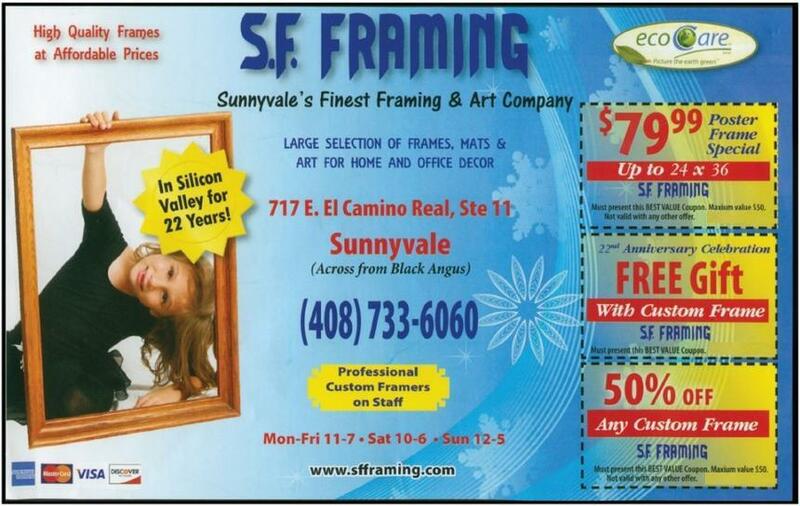 This entry was posted in FAQ's, Helpful Hints, Tips and tagged best cost, best framing services, collectable, conservation framing, cost of picture framing, discount coupon, frame, framing, how much does picture framing cost, lowest price, picture framing, picture framing near me, SF Framing on October 7, 2018 by SF Framing, Sunnyvale. 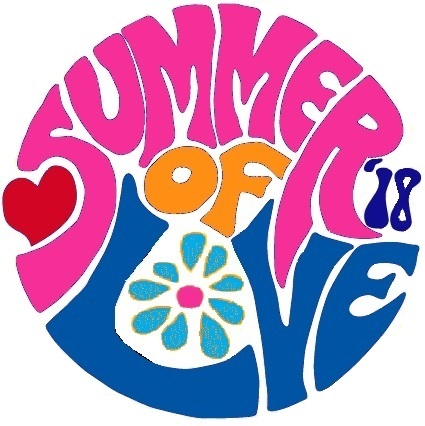 Preserve and Protect your Summer of Love Memories! It has been over 50 years since thousands of American teenagers flooded San Francisco’s Haight-Ashbury neighborhood. If you were around back in those days, chances are you had a fun time… and now have lots of memorabilia just laying around in your attic or basement. If you have anything you cherish, SF Framing can help you celebrate the anniversary of the free-spirited Summer of Love in the proper way. The summers of 1967 and 1968 served as both the climax and the unraveling of a counterculture that had its roots in San Francisco. There’s no reason you should let time unravel your memories. Whether you have psychedelic posters, tie-dye shirts, or a Mamas & the Papas record, these memories are worth preserving correctly. The crowds of free-loving folk may have long dispersed, but the spirit remains in your memories. Because of that, SF Framing is once again making it easier than ever to preserve your Summer of Love experience, and memorabilia. Mention this blog and we will offer you 50% off Museum Glass (for any size frame – yours or ours) until the end of the Summer of Love 2018 (September 22, 2018). We look forward to seeing you (and your groovy collectibles) very soon! This entry was posted in Helpful Hints, News, Projects, Tips, Updates and tagged 50% discount, best deal picture frame summer of love memorabilia preserve protect, best framing services, framing on July 22, 2018 by SF Framing, Sunnyvale. 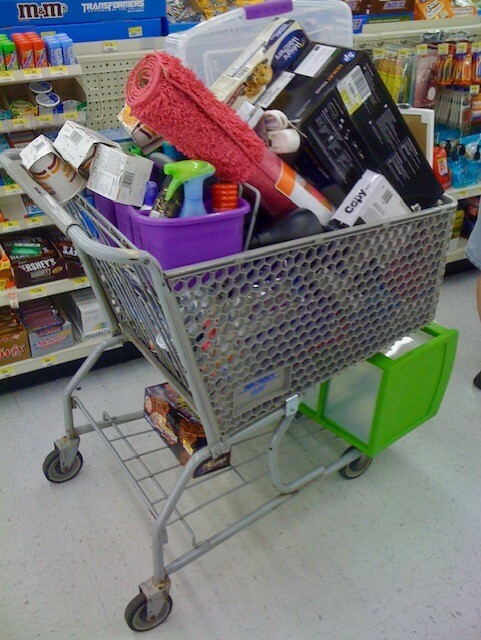 Shop Small… and Save Big! 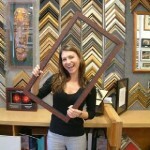 SF Framing is the place to save big on custom framing! Whether you are a homeowner, entrepreneur or an artist, you know you have seen increasing choices about where you can frame your precious artwork, family heirloom or prized collectible – from nearby big box stores to Internet sites far away. With all those new choices, finding the right framer seems like a big challenge… but finding a framer in your area that has an artistic eye and offers great service is a very rare find. The good news is what you are looking for is exactly what we provide at SF Framing! 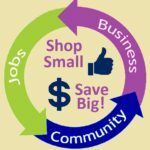 Shop Small and Save Big $ at SF Framing! We know when you experience what we have to offer, you will agree that small independent businesses like SF Framing provide valuable hands-on shopping experiences and superior services, in addition to providing valuable revenue for our local community. Sales taxes from local businesses like ours provide many city and county services that we all rely on for a healthy community. So, as the holiday shopping season gets officially underway, we hope you will Shop Small and Save Big at SF Framing. By shopping at SF Framing, you get the best picture framing services available anywhere and you continue to help our community thrive. With the holidays approaching, we invite you to celebrate with us and take advantage of some year-end savings – just in time for holiday gifting! Mention this blog and we will give you 50% discount off the moulding of your next frame purchase (maximum $50 per frame) and a FREE gift! This entry was posted in Helpful Hints, News, Tips and tagged 50% discount, benefit local, Best buy, best framing services, buy local, custom framing, discount coupon, frame, framing, free gift, picture framing, reward coupon, save big, select coupon, special coupon, special deal, support local on December 11, 2017 by SF Framing, Sunnyvale. The impact of choosing to buy locally made products – be that food, cleaning supplies, and even the framing services you require, is much larger than it may first seem. 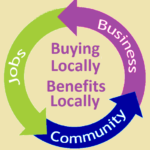 The support of local jobs is a crucial factor, however, people often fail to appreciate the host of other benefits in their decision to buy local. Studies prove that when people buy locally, double the amount of money stays within the community because of a local economic multiplier effect. Money spent on locally produced items (like your picture frames) largely flows to other local goods and services, like components and supplies, employment, utilities and so on, purchased to support what we produce and the employees within the community who make these products. And so the cycle continues. Further to this, local spending actually increases the velocity of money through the economy – the more money that passes through more hands gives more people the ability to enjoy the benefit of that money. That’s why supporting suppliers in your local Bay Area community – like SF Framing – means so much! We work with our clients to carefully understand their artwork and project scope. The benefits to local employment are multiplied when you support SF Framing. Purchasing local products like our picture framing services supports not only the jobs of those who make and market our products, but also has a halo effect on the broader community in which our business operates. For example, many other local businesses sell their products and services to us (office supplies, cleaning supplies and energy). Plus employees spend their earnings locally on food, housing, education and more – therefore supporting other local businesses along the way. Put simply, companies like SF Framing who generate sales and profit in the Bay Area, pay taxes in the Bay Area. These taxes are then spent by the Government in local communities on critical initiatives such as new infrastructure, services and other important initiatives for our county. You simply don’t get these benefits when choosing products from big box stores, multinational and out-of-state corporations. When you purchase an SF Framing product, you can be confident that in most cases world-leading environmental standards are implemented during its manufacture. Mention this blog and we will offer you FREE conservation matting (up to three mats per frame) for any size frame (ours, our course) until the December 21, 2017. We look forward to seeing you very soon! This entry was posted in Helpful Hints and tagged benefit local, Best buy, best framing services, buy local, discount coupon, frame, framing, picture framing, reward coupon, select coupon, special coupon, special deal, support local on September 24, 2017 by SF Framing, Sunnyvale. Don’t let those Summer of Love Memories Fade Away! It’s the Summer of Love 2017 celebration at SF Framing in Sunnyvale! As San Francisco celebrates the Summer of Love 50th anniversary in a big way this year, you might consider scouring your attic or basement for treasured memories of those wonderful days gone by. The reason? Here at SF Framing, we believe it is time for you to re-live the 60’s by bringing back those by-gone days… and we’re going to help you do that! You’re probably thinking… “If only my walls could talk!” The good news is that they really can. Your walls have a story to tell when you can display your memories in beautiful frames… be those cool records, psychedelic concert posters, flowery prints, fab vintage movie posters, hot collector tickets or signed rock ‘n’ roll artist memorabilia – all things you have probably stashed away somewhere for far too long. Memorable LP Record Jackets and Records Beautifully Displayed. Whatever the reason, the Summer of Love ushered in an era of power for a younger generation – and with it ushered in a cornucopia of beautiful art, amazing music and wonderful memories. Before those memories fade away, SF Framing is making it easier than ever to preserve your memories. Mention this blog and we will offer you 50% off Museum Glass (for any size frame – yours or ours) until the end of the Summer of Love 2017 (September 22, 2017). We look forward to seeing you (and your groovy collectibles) very soon! P.S. Believe-it-or-not, as we wrote this blog, we got in the mood by playing the “San Francisco” song, written by John Phillips of the Mamas & the Papas and sung by Scott McKenzie. Yep, it was the very song that bolted up the charts and helped launch the Summer of Love, a crazy period when an estimated 100,000 young people descended on our treasured City-by-the-Bay! This entry was posted in Helpful Hints, News, Projects, Tips, Updates on June 15, 2017 by SF Framing, Sunnyvale. Special Discount Coupon for Picture Framing Available! We have one of the widest selections of UV-blocking glazings, archival mats and mouldings available anywhere! To us, a custom picture frame is more about an expression of yourself, rather than simple frame dimensions and matting colors. At SF Framing, we make each picture frame and shadow box to perfectly suit you and the amazing art it holds. Whether you need a frame for your artwork, prized collectible, or a wall of photo gallery prints, our framing experts can create the custom picture frame deserving of your beautiful art piece. We will help you choose the perfect frame from our selection of six UV-blocking glazings, over 300 archival mats and more than 1,200 mouldings – one of the largest selections anywhere. Best of all, at SF Framing Custom Framers we offer a Custom Frame-For-Less Coupon to will help you obtain custom framing that fits your budget. At your free consultation with our framing experts, you will be able to view the widest available selection of options. You will leave our store knowing exactly what your custom frame or shadow box will look like, how much you’ll pay and will be assured your art is being taken care of properly—it’s framed right there in the store where you dropped it off. SF Framing Custom Framers is the custom framing expert, providing quality and great design since 1988. Whether you have a poster, print, artwork, diploma, award, photo or painting to frame, visit SF Framing to get beautiful custom frames and shadow boxes custom designed to fit your needs! 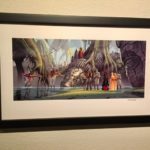 This entry was posted in Helpful Hints, Updates and tagged custom, discount coupon, frame, framing, picture framing, reward coupon, select coupon, special coupon, special deal on April 17, 2017 by SF Framing, Sunnyvale. Customer Care is alive and well at SF Framing! A passenger being forcibly removed from a plane after refusing to give up his seat is the way one airline is treating their customers. As we know, airline travel already seems like a slaughter house. Like virtual cattle, travelers are often forced into lines, evaluated, processed, and packed into space with less and less comfort. We must admit, not all of this is the fault of airlines. 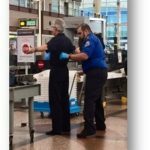 The Transportation Security Administration (TSA), its rules and its security checkpoints certainly contribute to the discomfort we all experience today. In addition to the TSA, we might also consider ourselves somewhat to blame. While we consumers demand lower and lower airfares, the airlines must comply to survive – while recovering their costs by adding preferred seating charges, checked baggage fees, reduced food options and increasingly cramped conditions. The whole experience is indicative of our society’s larger demand for lower prices while we accept a gradual decline in product quality, customer service and attention to detail. In no time conditions fail to be tolerable, but like cattle to slaughter, we resolve ourselves to accept that there is nothing we can do. We have experienced this in so many ways… in the way we now purchase our gasoline, our groceries, our overnight stays, our transportation, and our music (just to name a few). How often do we unwittingly avoid a locally-owned store to seek out a super deal at a discount business, asking for help and finding a blank stare coming at us from the person on the other side of the counter? As we demand lower prices from businesses that have become larger by swallowing up their smaller competitors, personal touch, product quality and customer care is being lost. All is not lost! The good news is that there are still locally-owned companies like SF Framing who provide you with an authentic customer care experience. When you become a client of SF Framing, you will discover we provide a detailed explanation of how the process works, deliver the quality product you are looking for and complete our service for you on time and within your budget. Customer Care isn’t dead at SF Framing. Come visit us today and allow us to demonstrate that for you! This entry was posted in Helpful Hints and tagged custom, framing, news, picture framing, SF Framing, sfframing.com, silicon valley on April 16, 2017 by SF Framing, Sunnyvale. Why have scattered pictures… when treasured memories can be proudly displayed? Memories… like a photo of your parents, a prized newspaper article, a team sports jersey, or a child’s cherished drawing shouldn’t be left to fade away. These are valuables -when properly framed and displayed – can bring an immediate smile to your face, joy in your heart and pride among your family and friends. Why leave these things in a box in the attic or in a drawer in the kitchen? Sports Jersey – Frame a team jersey in a shadow box! This is the perfect decoration for the den or basement where everybody gathers to watch big games. 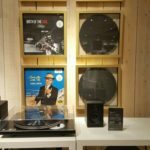 Music Record or CD Cover– Put a special music record in a frame in a creative way – perhaps with a ticket to your favorite concert. It could be an LP of a favorite musician, your “first dance” song or a valuable collectible. Get creative and you’ll end up with an art piece that nobody could buy in a store. Achievement Awards – Protect and display your certificates, ribbons, medals and badges with specially designed frames. Those memories do not need to stay online where they will eventually be forgotten. These real-life awards when properly displayed will feel fresh and remind you of your hard work and accomplishment. Children’s Art – Framing a child’s art makes a fun and whimsical decoration when highlighted with a nice frame and could make a wonderful gift for parents, grandparents, aunts and uncles, and teachers. Family Heirloom – Try framing a particularly meaningful piece of home-made art, a needlepoint tapestry, a poem or maybe an old family recipe to bring warmth to your home. Famous Collectible – Create a conversation corner in your home or office by stylishly framing and displaying a beautiful vintage photograph, a historical newspaper headline or a celebrated autograph. SF Framing can help you preserve your most treasured memories. Contact us today to provide you with a quote on professionally framing your family heirlooms and keepsakes. This entry was posted in FAQ's, Helpful Hints, Tips, Updates and tagged awards, collectable, Cupertino, frame, framing, heirloom, keepsake, Los Altos, Mountain View, mounting, picture framing, San Jose, Santa Clara, SF Framing, sfframing.com, sunnyvale on January 28, 2017 by SF Framing, Sunnyvale.